Perennially popular The Roseville Rooms at Faithlegg House Hotel, a 2 AA Rosette holder and a proud member of Good Food Ireland have joined forces with producers and suppliers from their sister counties – Kilkenny and Wexford to create a menu that captures a taste of all three counties. Head chef at Faithlegg House Hotel, Jenny Flynn has created a brand new ‘Trilogy of Tastes’ menu for guests to enjoy a taste of the three counties, all from the comfort of the stunning Roseville Rooms, continuing in her quest to source foods from the finest makers and producers not just from Waterford, but Wexford and Kilkenny too. From bread specially made for the hotel in Seagull Bakery in the lovely seaside town of Tramore, including olive, sourdough and rye breads, wild mushrooms from Ballyhouge Co. Wexford and trout from Goatsbridge Trout Farm in Co. Kilkenny – there are delicious ingredients from each county from the start of the ‘Trilogy of Tastes’ menu. Guests will enjoy a choice of fresh hake, caught by fisherman Robert Ferguson who fishes the Wexford and Waterford coast line supplying Flanagan’s Fish Mongers from his boat, which Jenny serves with house smoked mussels that have been gathered from the shore, monk’s beard and salt baked new season queens, an Assiette of Pork from Grannagh on the Kilkenny boarder including caramelised pork belly, smoked bacon, fillet of pork, pork and apricot sausage roll with Bulmer’s jus and Dennison’s free range duck breast with orange & nettle crust, oyster mushroom and Muldoon’s whiskey jus. Using seasonal vegetables from local farms, Jenny’s passion for local suppliers and using the abundance of great ingredients on her doorstep in Waterford continues to inform the food at Faithlegg House Hotel and the delectable additions to the ‘Trilogy of Tastes’ menu. To finish diners’ will be treated to green apple and tarragon parfait gingerbread served with Mr. Jeffares blackcurrant syrup from Co. Wexford and lemon “thin gin” syrup topped with Co. Wexford strawberries shortbread fingers. A selection of cheeses from the three counties including St. Killian’s, Smoked Knockanore and Knockdrinna goats cheese from Stoneyford Co. Kilkenny, served with blaa crisps and Grantstown plum tomato chutney completes the ‘Trilogy of Tastes’ menu in the Roseville Rooms. 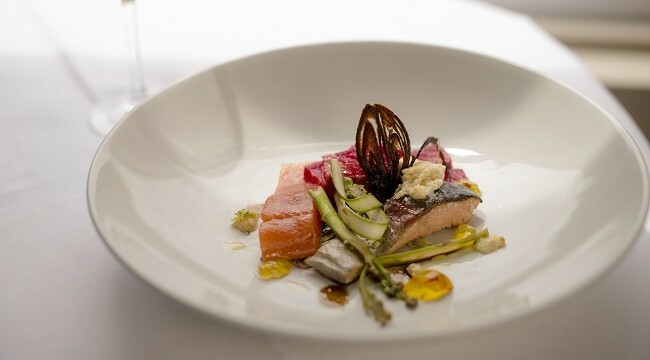 Jenny Flynn’s ‘Trilogy of Tastes’ 4-course menu at Faithlegg House Hotel is the perfect way to get a genuine flavour for Waterford, Wexford and Kilkenny. The ‘Trilogy of Tastes’ 4-course menu is available for €39.95 per person. 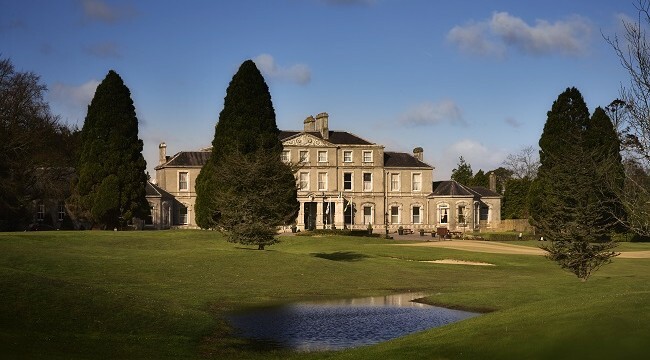 Include an overnight stay at Faithlegg House Hotel from €110pps with breakfast and dinner in The Roseville Rooms Restaurant. For more information or to make a reservation visit www.faithlegg.com.